How do I find a Dutch lawyer? There are many law firms in the Netherlands, but which one will match your needs? At advocaatzoeken.nl we know - almost - all Dutch law firms and lawyers so we can quickly help you find the best lawyer for your case. advocaatzoeken.nl is a Dutch company that matches (international) clients with lawyers or attorneys from The Netherlands. Our intelligent online platform matches the submitted question to five suitable lawyers with an expertise that fits your request in terms of capabilities. Additionally, clients are also able to add filters and conditions to the case they submit. For example, the city or region in The Netherlands where you need to get in contact with a lawyer. The perfect match also takes into account the availability, language skills (English of course, but some of the adjoined lawyers are also fluent in Spanish, Polish, Chinese, French or Arab) and experience of the lawyer. The five lawyers that best match your request are invited to send you a quote. You compare the quotes, and choose the one that best suits your case in your opinion. Meet your new Dutch lawyer here! All lawyers affiliated with advocaatzoeken.nl very well informed in regards to Dutch law and procedures. Moreover, amongst our lawyers you will find specialists in administrative law, corporate law, employment law, competition law, mergers and acquisition, real estate, international trade, patents, litigation, intellectual property law, franchising, insolvency, restructuring, business law, etc. advocaatzoeken.nl serves the full width of the law practice spectrum. How does the Dutch legal system work? It is useful to have some knowledge of the Dutch legal system when you are a foreign private person or have a non-Dutch company and have a legal conflict that has to appear in court in the Netherlands – at least briefly. Our lawyers can of course inform you about that in detail, but on this page you will be able to find a short explanation beforehand. Administrative law handles governmental decisions (all government organizations). Criminal law is about criminal offences – the question whether they were committed or not and if yes, what penalty is associated with that. Lastly, civil right is about conflicts between private persons and/or organizations. In the Netherlands you have to opportunity to file an appeal after the judgment of the court. If you do not agree with the judgment, you can ask the court to review your case by filing an appeal. As a last resort you subsequently have the opportunity to submit your case to the Crown Court (‘Hoge Raad’). In transboundary cases, the law in the country of the opposing party can also play a significant role, in addition to Dutch law. A lawyer that is trained in Dutch law but also has significant knowledge of the international practice, is highly recommended in transboundary cases. In order to determine which lawyer is the best partner for you case, we therefore first have to determine what jurisdiction is leading. Dutch law, foreign laws and regulation? A combination of both? Or do the international trade agreements count first and foremost? After that question is answered you can start looking for a lawyer who is appropriately qualified. The countries of which laws are applicable to the contracts that underlie the conflicts could specify which country’s law should be preferred or in which country a legal battle has to be fought. Of course you can directly consult a lawyer and present the affair with the question what jurisdiction is applicable to your case, apart from doing your own research. Every Dutch law firm (or each Dutch lawyer) can answer that question for you without having to dig into the matter too deep. One can sketch the legal possibilities, the chances of success and the expected timeline for the handling of your case. Based on that you can make the consideration whether or not it is a good idea to collaborate with this lawyer or law firm. You are free to choose to let the case rest or to find a lawyer that better fits your needs after that initial contact – which is in fact a kind of quotation. advocaatzoeken.nl specifically assists with the latter. Based on our knowledge of the Dutch legal industry, we realize a preliminary selection of potentially fitting lawyers. Can you choose your own lawyer in the Netherlands? The answer to that question is: yes! You are free at all times to approach the lawyer that can best represent you. Even if you have legal insurance you can, as the result of a fairly recent judgment of the European Court of Justice, choose your own lawyer. You are never required to buy your legal insurance directly from your insurance company. This judgment on “free choice of lawyer” caused and causes a lot of going in the Dutch legal industry. And it is a confirmation of what has been stated about: in the Netherlands, you are always free to choose a lawyer at your own discretion. For what practice areas do I need a Dutch lawyer? In principle that could be for any case you could think of. But at advocaatzoeken.nl we noticed that a couple of legal themes stand out. Private persons and businesses mostly contact us about the practice areas listed below. Immigration law is – logically – a jurisdiction of law in which a lawyer who is fluent in English is a benefit. The immigrant comes from outside of the Netherlands, maybe even from outside the European Union, after all, and has a reason to want to reside in the Netherlands, whether that is temporary or not. This can be about different types of immigrants. People that move to the Netherlands because of their profession (skilled migrants), people who have fled their homeland and are trying to rebuild their live in the Netherlands, people that want to move to the Netherlands because of love – think about family reunification or family formation. There are all kinds of different reasons for wanting to move to the Netherlands, but in all those example immigration law is applicable. A lot of people who are here for a shorter or longer time, are required to have a visa or residence permit. For expats, other themes play an important part, beside acquiring a residence permit. For example, what about social security or pension? What are the regulation regarding taxes? Do the working conditions have to be amended because of the stay abroad? For questions like these, it is recommendable to get yourself informed by a lawyer who has a good understanding of business. We know who those lawyers are. All lawyers affiliated with advocaatzoeken.nl are registered at the Dutch Order of Lawyers (‘Nederlandse Orde van Advocaten’). Even though most regulations related to immigration law simply relate to a stay here in the Netherlands, there are still various forms of residence within this jurisdiction. One could have the need for a residence permit for entrepreneurs (self-employment visa) or skilled migrants (highly skilled migrant worker permit), a visa for a family visit (family visitor visa) or a residence permit for college students. All are examples of a temporary stay. Immigration law also regards permanent residency in the Netherlands. Conditionally, a non-Dutch national can be naturalized to become a Dutch citizen and therefore acquire a Dutch passport. In order to be able to appropriately guide and assess a couple of things, lawyers need a proper knowledge of Dutch immigration law; apart from that a sufficient knowledge of the various trade agreement (including the Treaty of Amity and Commerce) and/or friendship treaties is also required. If you have any questions regarding immigration law, you can contact us. We assess your law question for free and refer you to a lawyer who can help you; free of obligation. We noticed that we get approached by international clients regarding patens relatively often. On our page regarding intellectual property you can find additional information in Dutch. Below is a short explanation in English. There are many types of patents imaginable. In technology, construction, logistics, aerospace, computer software (and hardware), etc. In each case of a new invention, one can apply for a patent, to prevent another party to run off with your invention unsolicited. The patent law provides that protection. The patent applications go via a patent agent – generally the lawyer. Generally, a patent is only valid for one particular country. It could be sufficient to request a patent for the Netherlands, that should be the case if you only trade in the Netherlands. But if your patent – or the product that is patented) is traded in an international context, it would be recommendable to apply for a patent in multiple countries. Applying for a patent is relatively expensive and is also a timely process. It is therefore recommendable to really consider if a “patent” is the right choice. After all, there are more, less complex, ways to protect a product or finding. For example, through trademark protection or design protection. A lawyer can help you to make the right assessment. They can sketch out the costs and the type of protection, after which you can decide what would be the best level of legal protection for your circumstances. You have been arrested because you – allegedly – were involved in drug trade or are suspected of a related offense. If you have been arrested by the police for that reason and you are – temporarily – incarcerated, you need a lawyer from the country where you were arrested, at least initially. In the Netherlands, that means a criminal lawyer with knowledge of the laws and regulations regarding drug offenses. You can contact us by phone, after which we will match you to such a lawyer. Our platform has nationwide coverage, so we can always arrange a lawyer for you who is close to you and who has the appropriate knowledge. Dutch lawyers affiliated with advocaatzoeken.nl are located all over The Netherlands. From Groningen in the north to Nijmegen and Maastricht in the south, and from Arnhem to the Randstad Region (Utrecht, Amsterdam, Rotterdam, The Hague), our members are operating across the country. Business or corporate lawyers, often searched for in an international context, are mainly clustered in the Amsterdam – Rotterdam – The Hague area. These law firms provide their services mainly to Dutch multinationals like Shell, KLM, Heineken and additionally also practice their business law knowledge for foreign companies in investment, insurance, real estate, etc. Primary focus is on transactions and international trade related to Dutch business law. Amsterdam is by far the lawyer capital of the Netherlands. 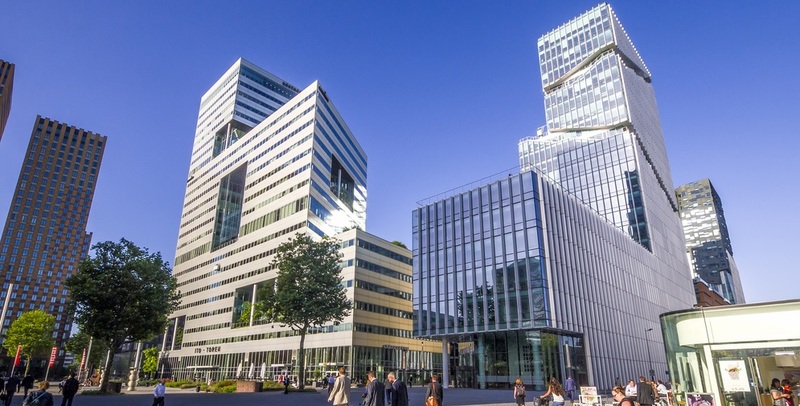 Almost one third of all Dutch lawyers operate out of Amsterdam, for the most parts in the Amsterdam city center area and in the south side of Amsterdam (‘Zuidas’). Why use an online platform to contact a lawyer in the Netherlands? It is not that easy to find the right lawyer by yourself. Of course you can enter a search in Google, visit some of the presented websites and give them a phone call. However, to choose a suitable lawyer you will need to have some (legal) knowledge of the requested case. Do you need a specialist or is a ‘general lawyer’ sufficient? Value for money is what you are looking for. And that is exactly what advocaatzoeken.nl has been aiming for. That does not mean we only offer the ‘discount lawyers’, on the contrary. Sometimes a well-known and capable expert is needed to solve your problem and that might come with the subsequent higher costs. A suitable match, that is our mission!